According to the UK-based news organization Sky News, a 2013 survey revealed that a majority of parents are confused by the methods schools use to teach mathematics. The poll results included responses from over 2,000 parents. Nearly one third of the respondents admitted that they lacked the confidence in their own numeracy skills to help their children with their primary school math homework. Furthermore, parents were asked to complete a test related to mathematics usually taught to their eight to twelve year-olds. Only 5% answered all ten questions correctly. There can be many explanations for these results. Whether a parent is 30 years old or 50, it has been probably decades since they’ve been tasked with elementary school fractions, geometry and other mathematics concepts (here is a sample California Grade 5 Mathematics Standards Test). The convenience of utilizing a calculator or programs like Excel, have negated the need to do these tasks manually. However, younger students need to understand the rudiments of math in order to gain mastery to succeed in geometry, trigonometry or calculus. So, what does this mean in the Dublin Unified School District? At least at Dublin Elementary School, the administration and staff have taken a very proactive stance in terms of their student population. It’s a position that will give their students every possible way to achieve as they promote up to middle school. OneDublin.org was fortunate to meet with the “driver” of this initiative at Dublin Elementary School, Fifth Grade Teacher Ms. Krystal Shaw. 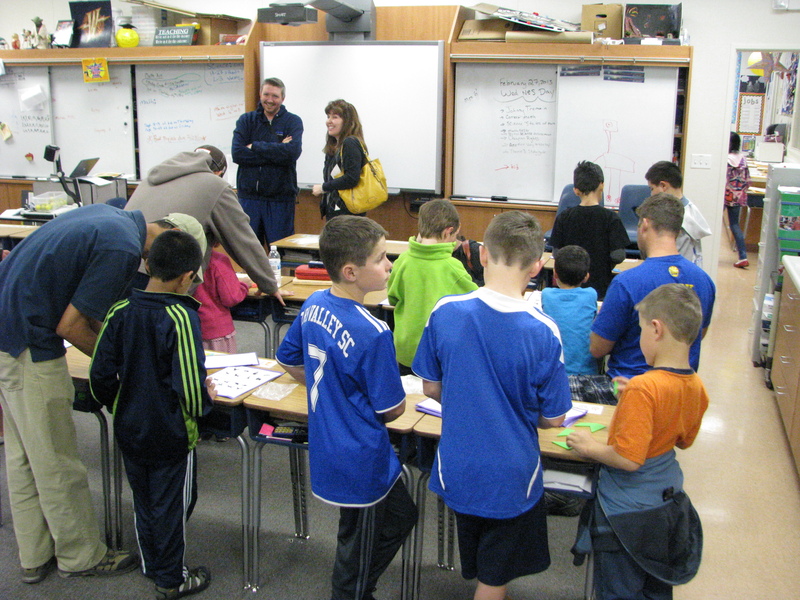 A Family Math Night event was hosted at Dublin Elementary last Thursday evening. Krystal was essential in making this event come together. She clearly has a passion for mathematics and was responsible for previous events at the former Nielsen Elementary School. 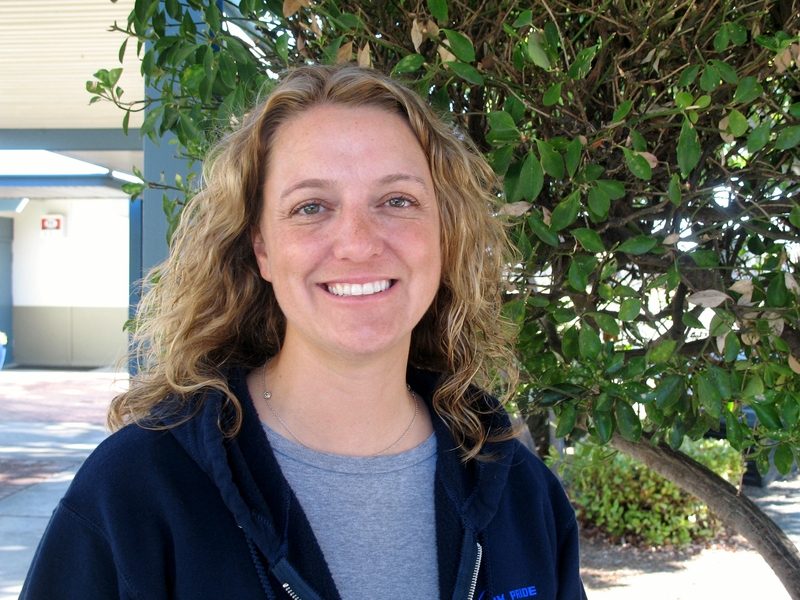 Her primary motivation for moving this program forward was to share her love of math. More importantly, she wanted to help parents understand some of the new strategies that were being employed district-wide so that they could be equipped to help their children with their homework. While this evening was treated as a “trial run”, the hope is that this will become an ongoing program at Dublin Elementary, perhaps at other elementary schools, as well. OneDublin.org: As this was the first family math night in recent memory at Dublin Elementary, what were your expectations for parental turnout? 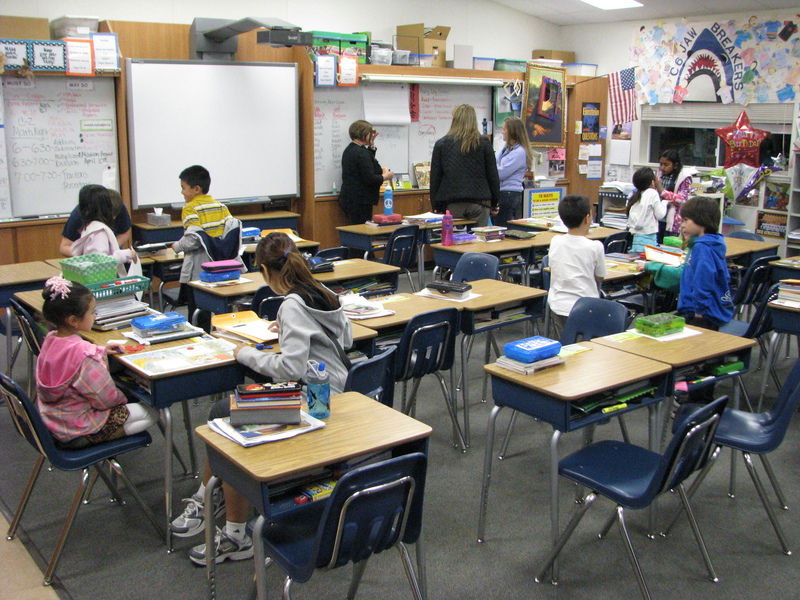 OneDublin.org: By offering a classroom setting for parents/guardians, what benefits were you hoping to convey to them? OneDublin.org: As the State of California moves towards adopting Common Core Standards in the fall 2014, please explain how and why an event like math academy will make a material difference in the way that you and your colleagues approach teaching both Mathematics and ELA. For another perspective on this story, we sought out feedback from Dublin Elementary School Principal Ms. Lauren McGovern. OneDublin.org: As a site administrator, what were your goals/outcomes by hosting this event? Lauren McGovern: “We wanted an opportunity for students to celebrate learning. Further, we wanted to promote problem-solving and critical thinking skills. 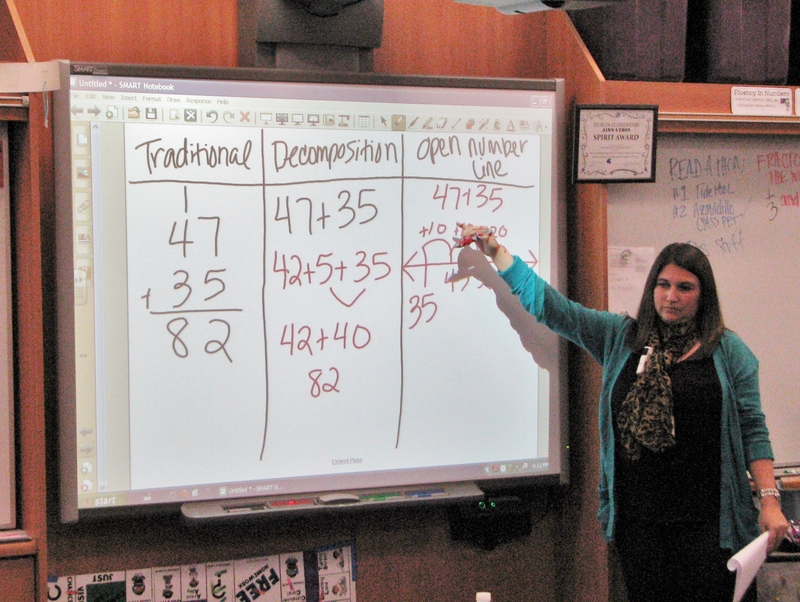 Additionally, we wanted to demonstrate the California’s transition from state standards to the Common Core Standards in mathematics. OneDublin.org: Many parents/guardians have a latent or an outward fear of mathematics. How is your program endeavoring to break down some of these fears or barriers for parents? McGovern: “We wanted to provide multiple methods of problem solving and to also demonstrate classroom practices that will assist with homework. We also wanted to show methods for locating additional resources and information. 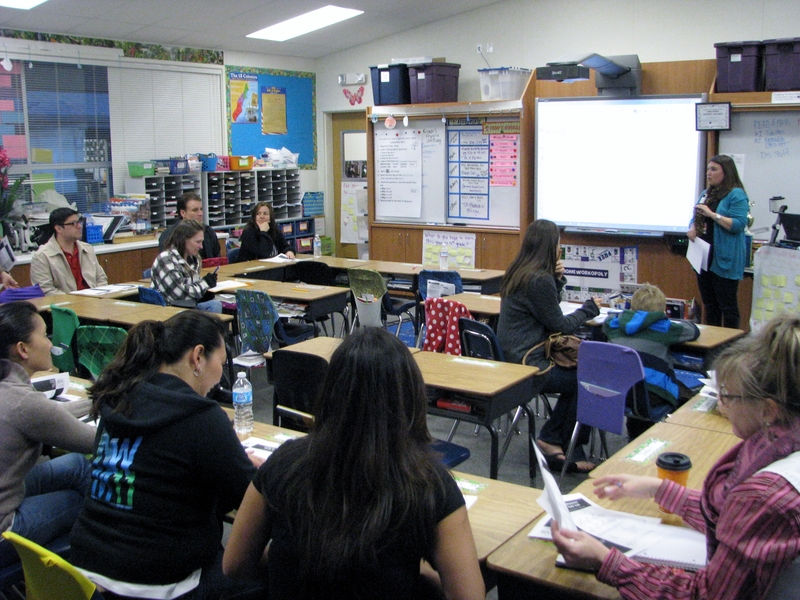 Parents: Your child will succeed in mathematics – in no small part to your participation in Family Math Nights and other events, such as the one conducted at Dublin Elementary School. 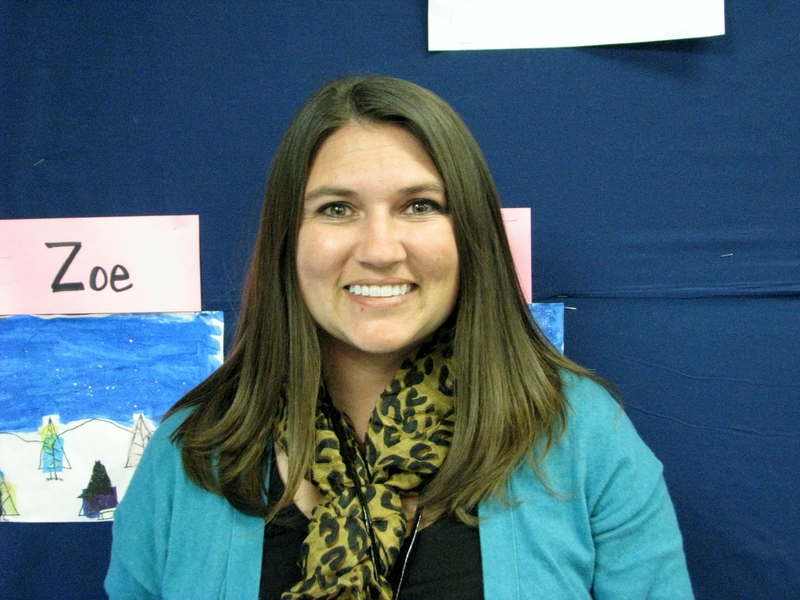 As Ms. Shaw stated, “Let’s make math fun!” OneDublin.org salutes teachers, such as Krystal Shaw, for making this a priority. For further information, please contact your respective Principals at www.dublinusd.org.